Bobby Maddex interviews John Della Monica, the President of the Orthodox Church Capital Improvement Fund (OCCIF). 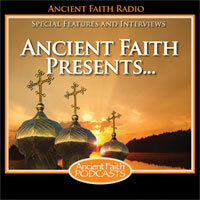 Ancient Faith Presents: Orthodox Christian Laity Celebrates 25 Years! Bobby Maddex interviews Ian Shaw, the founder and editor of the new Orthodox zine titled Crucify Thyself.